Team Leader Jobs in Mumbai | HDFC Securities Walkin Drive On 16th December 2017. New Job Opportunities from HDFC Securities. Latest Customer Care – Team Leader Jobs in Mumbai for enthusiastic candidates. This is to inform candidates that HDFC Securities Careers is hiring the graduates of any specialization. Interested candidates can walk for HDFC Securities Walkin Drive which is going to be held in Mumbai from 16th December 2017 onwards. Check out the similar jobs which suit your profile from our blog All India Jobs. Latest HDFC Securities Jop Opportunities for experienced guys are provided here. Go through the article completely and gain your knowledge about HDFC Jobs in Mumbai. Since most of them are not aware of the recruitment process, job description, roles and responsibilities and simple walk for it and failed to crack the job. We would like to give more information about HDFC Securities Walkin Interview at Mumbai for Team Leader Jobs in our article. Have a glance at it. HDFC Securities Current Openings in Mumbai is available here. People with good communication skills in Engish and Hindi can walk for HDFC Walkin Interview on 16th December 2017. One of the most important not is Freshers are not eligible to apply for it. HDFC Recruitment Drive is only for candidates possess an experience in Indian Capital Market with Team Handling capabilities. If you are ready to apply, refer the HDFC Interview Questions before attending the walkin drive. Direct HDFC Walkin for Graduates: HDFC Securities Openings in Mumbai has announced now. Eligible and talented candidates who satisfy the requirements of HDFC Team Leader Jobs can apply now!! Check the HDFC Placement Papers to get the knowledge about the online test pattern. Also, refer the HDFC Securities Test Pattern to know the type of questions appearing for the test. Please do check the requirement process and start preparing for it. Experience: 2 to 6 Years (Freshers are not preferable). Employment Type: Permanent Jobs, Full Time. Excellence knowledge and experience in Indian Capital Market. Must have Stock Brokering firm experience. Graduate with Team Handling Experience can apply. Responsible to Handle Inbound customer calls. Provide an exact and proper solution for clients. Receive, evaluate, and answer customer inquiries. Able to resolve customer issue quickly and in promptly. Guide team members about the company offerings. HDFC Securities Limited is a financial services intermediary and a subsidiary of HDFC Bank. It is one of the leading stock broking or financial companies in India and has completed 15 years in providing services. HDFC securities were founded in the year 2000 and are headquartered in Mumbai. 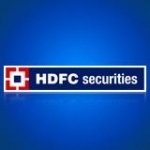 HDFC Securities Limited is a distributor of financial products. It is a joint venture in the beginning with HDFC Bank Limited, HDFC Limited, and Indocean eSecurities Holdings Limited. In 2006, HDFC Bank bought HDFC Ltd’s stake. Currently, HDFC security is a part of HDFC bank. How To Apply For HDFC Job Openings in Mumbai?? Apply HDFC Securities Team Leader (Technical) Jobs for Mumbai Location from 16th December 2017 onwards. HDFC Securities in hiring the graduate experience candidates for job vacancies in Banking, Financial Services department. Eligible candidates can walk for HDFC Securities Interview to below-mentioned address. Walkin Date: 16th December 2017. Walkin Time: 10 AM to 12 PM. Land Mark: Opposite Vitthal Kamat Hotel/Apna Dhaba Hotel. Near from Chakala/JB Nagar Metro Station (Gate no. 3).